The index, carried out annually by Transparency International, ranks 180 countries and territories and offers a snapshot of relative degrees of corruption all over the globe. The survey uses a scale of zero to 100, where zero is highly corrupt and 100 is “very clean”. Over two-thirds of countries scored below 50 on this year’s index, with an average score of just 43. 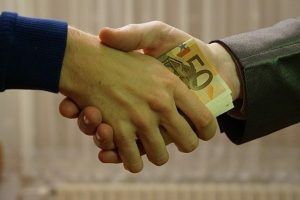 New Zealand received a score of 87, putting it in second place behind Denmark (88), making it “the leading country fighting corruption in the [Asia/Pacific] region”, according to the report. Such a score is cause for celebration, or at least it would be, if not for the fact it represents a fall for New Zealand from first to second place globally behind Denmark, slipping four points since 2015. Since the inception of the index in 1995, New Zealand has vied for first place with Scandinavian countries. 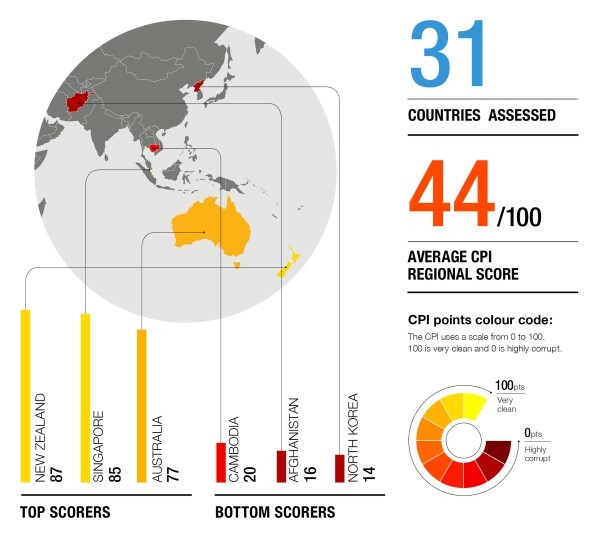 “New Zealand’s drop in ranking is primarily due to poorer results from the survey conducted by one of the 13 sources of the TI-CPI, the World Economic Forum’s Executive Opinion Survey,” say analysts from the group. Suzanne Snively, chair of Transparency International New Zealand says while the New Zealand public sector ranks highly, “we must resist complacency”. Australia also ranks highly with a score of 77 – or 13th most corruption-free globally – but again that score represents a decline of two points since 2015, making this year’s result an equal record low. “Asia Pacific region is making little progress in the fight against corruption,” warns the report. Looking at the region, the report praises New Zealand and Australia’s commitment to democratic principles, but also notes that while such systems support low-corruption levels, less democratic countries can be relatively corruption-free too. “Most top scorers in the region, including New Zealand and Australia, have well-functioning democratic systems, which help contribute to their top scores,” says the report. Other Asia Pacific countries have improved their scores since last year, with both Vanuatu and the Solomon Islands gaining ground with the passing of anti-corruption and transparency laws. This year two major trading partners for New Zealand and Australia, China and the United States, have both fallen to new lows. Globally, the Republic of Congo, Iraq, Afghanistan, Syria, South Sudan, Yemen, Libya, Somalia scored worst. Download the Corruption Perceptions Index.